Israelis in Samaria warn that ‘Machsom Watch’ tracks and publicizes IDF activity, including weak points in security. The far-left watchdog group Machsom Watch has been exposing IDF activity and publicizing weak points in security, Israelis living in Samaria (Shomron) have accused. The Samaria Residents’ Council has filed a police complaint against the group. Machsom Watch sends activists to watch IDF soldiers at checkpoints in Judea and Samaria. The group has been accused of harassing soldiers and of valuing convenience for Arab residents of Judea and Samaria over preventing terrorism. 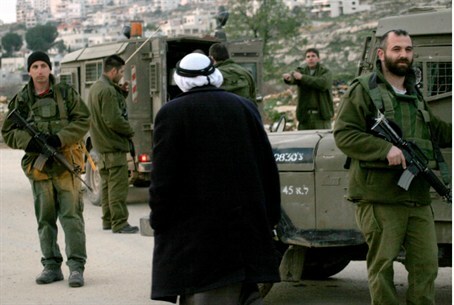 In one incident, Machsom Watch activists told soldiers to release an Arab teen who turned out to be an armed terrorist. The group has a website on which it publishes daily reports from its volunteers. The reports often expose details such as the number of soldiers manning a checkpoint and the degree of security there. Benny Katzover, head of the Samaria Residents’ Council, called on police and prosecutors to take Machsom Watch’s tracking activities seriously. “It would be outrageous if a far-left organization were to report IDF troop movements aimed at fighting terrorism to the enemy and the state were to ignore it,” he added.